I am a Senior Associate in the civil engineering group of Cundall. I graduated in 1994 with a degree in Civil Engineering from the University of Newcastle upon Tyne. As part of this degree I specialised in Hydraulic Engineering which I particularly enjoy and which has been pivotal to the direction my career has taken. I became a Chartered Engineer and a Member of the Institution of Civil Engineers in 1998. I have led the engineering design for a number of significant water and wastewater projects, all of a multidisciplinary nature. 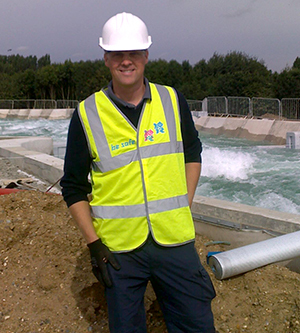 The skills developed on such schemes were applied to the design of the Lee Valley White Water Centre for London 2012 and this has led to other significant projects in this field, including Rio 2016.